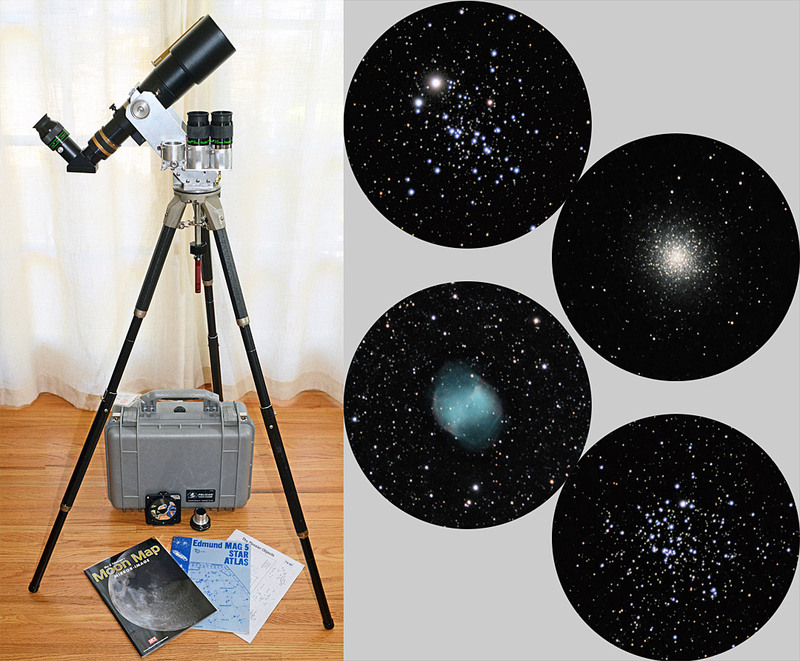 Recently, we received a letter from Darrel Hess of El Cerrito, CA, with a description and photos of a compact travel kit for his Tele Vue-60 telescope. This is a quick note of appreciation — and to show you a few photographs of the compact travel kit I’ve made for my Tele Vue-60 telescope. I purchased the TV-60 a number of years ago as an “always-have-it-with-me” astronomical and spotting telescope for road trips — and it’s been great. I think Mr. Nagler once said that he thought of the TV-60 as a “briefcase” telescope, and perhaps I’ve ended up with something close to that. Tele Vue-60 (with notch sight on the dew shield), mount head, and accessories in the case. Image copyright by Darrel Hess. 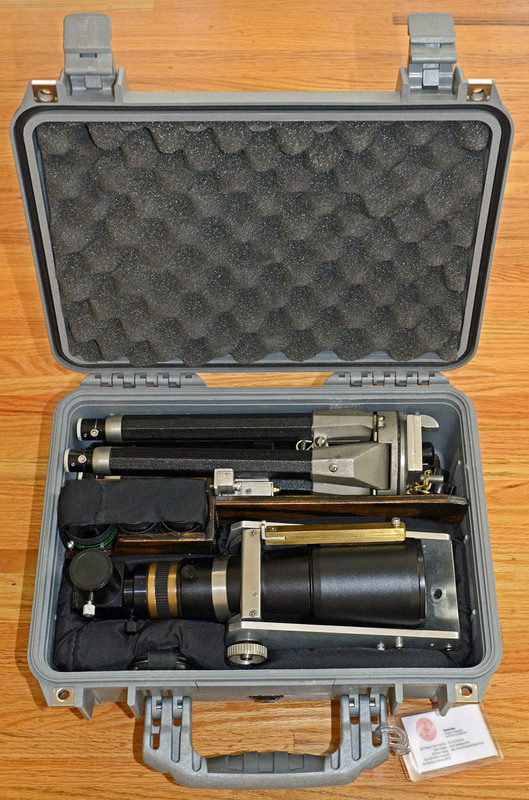 As you can see, the scope, my homemade tripod, Tele Vue Everbrite diagonal, eyepieces, and other accessories all fit into a 1450 Pelican case (16″ x 13″ x 6″) where everything is well protected from dust, moisture and bumps. I made the aluminum fork mount to fit a modified antique Ciné-Kodak Tripod. I’m sure that one of your mounts and tripods would get things higher and might be a bit steadier, but my homemade setup has worked well (and it all breaks down and fits into the Pelican!). Everything assembles without tools and without any loose parts for me to drop in the dark. Close-up of the eyepiece holders. Set screws lock the eyepieces for travel. Image copyright by Darrel Hess. I use three eyepieces. The 24-mm Panoptic and 9-mm Nagler Type-6 were recommended* in early reviews of the TV-60, and I heartily pass on that recommendation. Originally, I used a 2-4-mm Nagler Zoom for high power (also recommended in early reviews), but I found that I almost never could get anything useful at its highest magnification range (and the narrow FOV was a disadvantage), so I sold the zoom and bought a 3.5-mm Nagler Type-6. 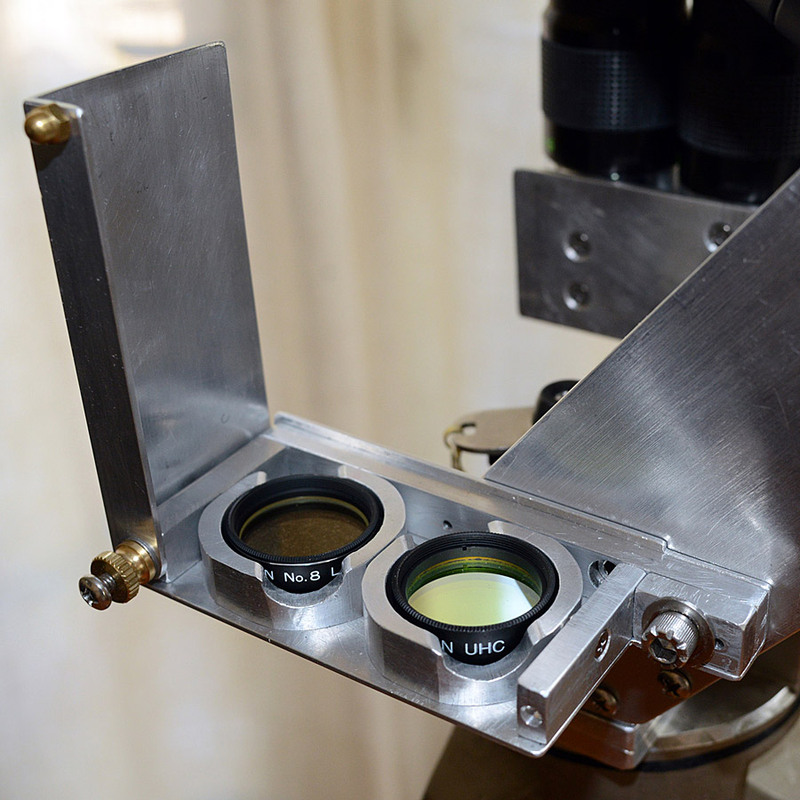 This trio of eyepieces gives me 15x, 40x, and 103x — a fantastic combination. When conditions are perfect (such as those nights when I can split the double-double in Lyra at 103x! ), I sometimes wish I had the Nagler 2.5-mm Type-6 to give me a bit more magnification, but frankly I wouldn’t give up the 3.5-mm Nagler Type-6 (and I don’t have any more room in the case for a fourth eyepiece anyway …). My eyepiece holder comes out from the Pelican and quickly attaches to the right side of the fork mount. Filter holder on mount. Image copyright by Darrel Hess. I only carry a couple of filters: a Lumicon UHC and a Lumicon #8 “light yellow” (to bump up the contrast a bit on the Moon and planets). My filter case attaches to the left side of the mount; it locks inside the Pelican for travel. In the lid of the Pelican I carry a Baader solar filter, as well as an observing log, a Sky & Telescope Mirror-Image Moon Map and an old Edmund Mag 5 Star Atlas (please don’t laugh! — it’s just the right size and works well with my TV-60) . A red reading light is attached to the bottom of the tripod, and I’ve squeezed in a T-mount adapter for my Nikon camera. The TV-60 is so satisfying under dark skies that I often take it along even when I have my larger telescope with me (a 10″ f/6 Newtonian with a John Lightholder primary mirror). For the 10″ I use your 35-mm Panoptic, 13-mm Nagler Type-6 and a 7-mm Nagler Type-6 — I’m now saving up to buy a 5-mm Nagler Type-6 to give me another bump in high power. [Darrel got the eyepiece since he wrote us and reports he “loves it!”]. You have a very happy customer here. Many thanks for your fine products. *Current Eyepiece recommendations for Tele Vue-60 (mobile site). If you don’t have Darrel’s building skills, our custom Tele Vue-60 padded Carry Bag (TVB-2403) is an excellent alternative. 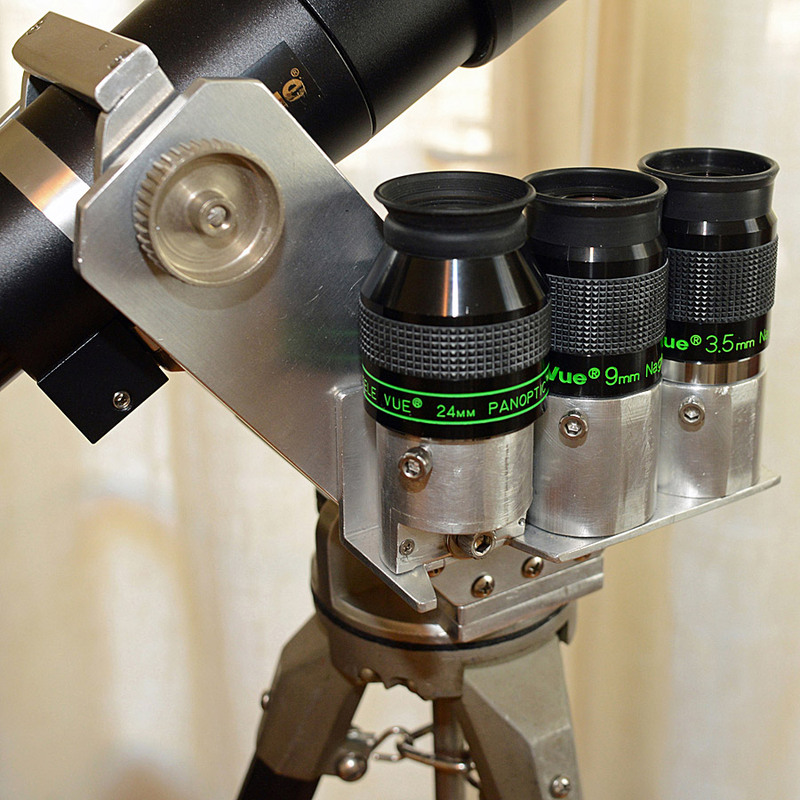 This “briefcase-sized” bag has cutouts for the telescope with mounting rail attached, diagonal, and three eyepieces. Padded handle and shoulder strap included. 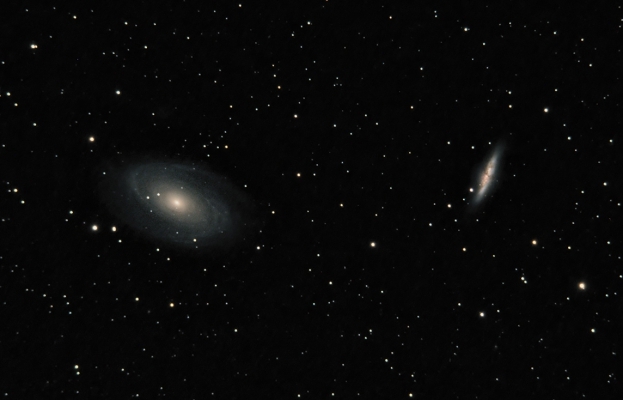 Long-time Tele Vue-60 user Mark Kilner has had success doing long-exposure imaging with his scope. 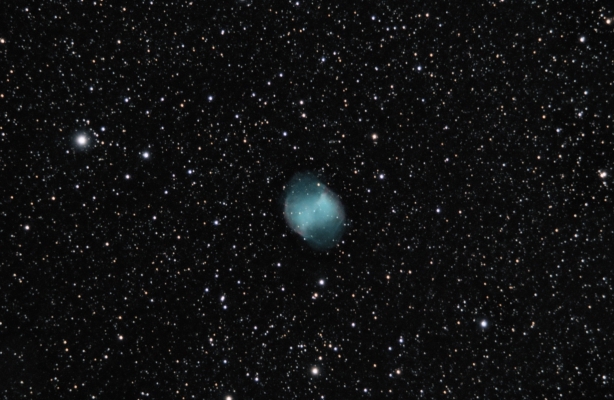 His recent blog post A Journey into Astrophotography details his imaging setup and technique. M27, The Dumbbell Nebula (crop) by flickr user Mark Kilner licensed by CC BY-NC-SA 2.0. Used by permission. Tele Vue-60 with Canon 80D using 42-min total exposure at ISO 800. Mark’s Tele Vue-60 equipped with a 1.1x field flattener, acts as a 400-mm lens. It is set atop a polar aligned Super Polaris mount with a Canon 80D camera connected to it. Under magnitude 5.5 skies, short exposures of up to 2-minutes are taken using BackyardEOS software. 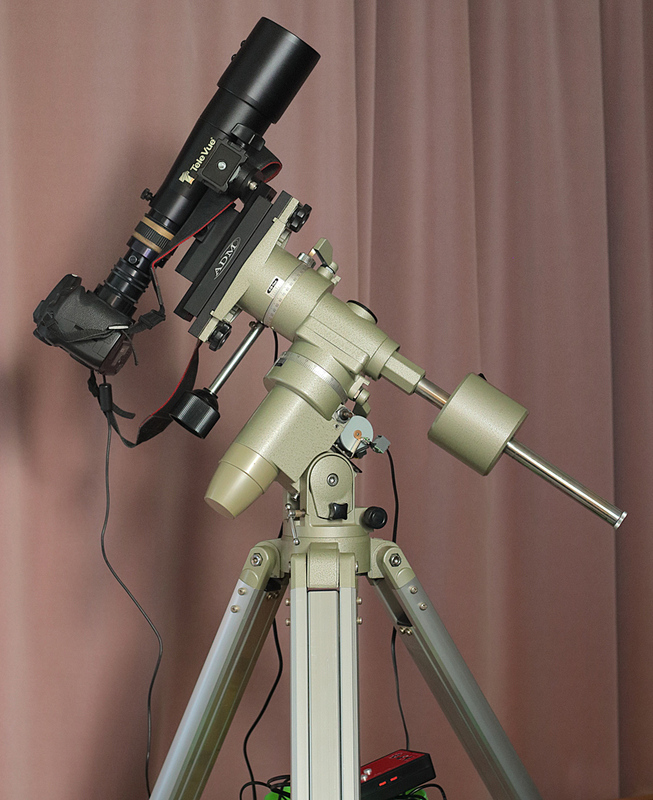 Mark’s Tele Vue-60 rides atop a motor driven Super Polaris equatorial mount. There is no GOTO hand controller here: objects are located by star-hop and test exposure to confirm the field is correct. Image copyright © Mark Kilner and used by permission. The short exposures are combined in DeepSkyStacker and processed with various tools including Photoshop, Astro Tools, and Google Nik Efex. M81, M82 (crop, NGC 3077 visible in original) by flickr user Mark Kilner licensed by CC BY-NC-SA 2.1. Used by permission. Tele Vue-60 using Canon 80D for 70-min total exposure at ISO 800. In the future, in order to bring out the color in faint objects, Mark is considering the use of an autoguider (the mount handset has the ST-4 port for this) to get longer exposures. 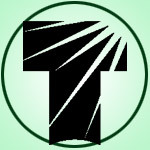 Tele Vue TV-60 webpage (mobile site). Eyepiece recommendations for Tele Vue-60 (mobile site). Mark’s A Journey into Astrophotography blog post. Next Next post: This Week: Neptune Opposition 2018 and Comet 21P!